I recommend these cars to anyone who is a car enthusiast! 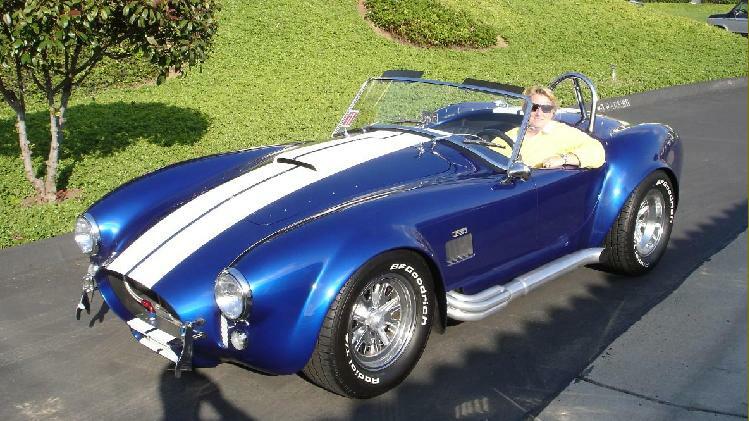 Since 1969, when I first saw a real 427 Cobra in Indiana and later in 1977 in California where there were two 289's and one 427 in Los Gatos, I have always dreamed about driving and owning the "Snake". I could identify a Cobra with only the front fender or tail light in view. For the prospective owners, the SPF dealers can usually put you in contact with an owner in your area. Checking out the fit and finish, talking about maintenance and dealer support, and discussing handling and driving are the best way to judge the car. You'll probably find SPF owners always ready to talk you ear off and probably offer a ride. Maybe even a chance behind the wheel. From Washington, DC area, we've tripped to the NC Outer Banks, Lowes Motor Speedway, NC, Thunderbolt Raceway, NJ, Virginia Intl Raceway, VA, and Fort Wayne, IN. 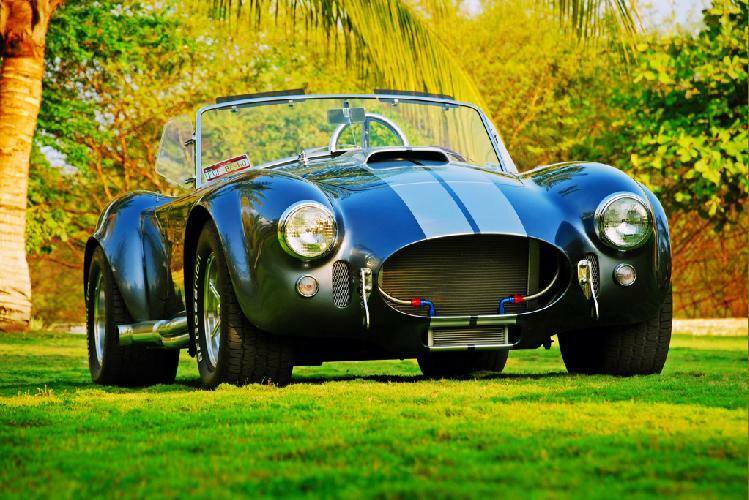 The Cobra usually gets 20 to 23 mpg on the road at 70 mph. We find the seats very comfortable for 2 to 3 hour sessions. I once asked Dennis Olthoff whether the SPF Mk III had any handling issues. He said that it just goes where it is pointed. The SPF suspension is superb. Maintenance is very simple compared with modern cars. Oil & filter, tires, and brake pads. We find the hard top a nice addition for winter weather and usually use the soft top for travel in the warmer months. Unzipping the rear window and removing the side curtains makes for a nice sun shade on long, hot trips. This car, with its 6 pounds per horsepower, is an astounding vehicle. Beauty, handling, performance - what more could you want! 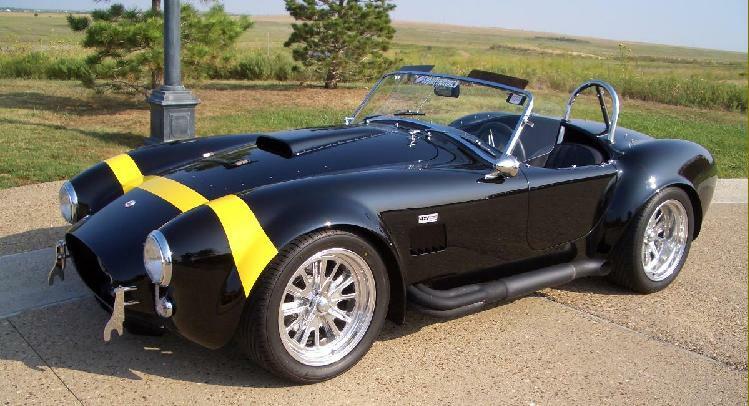 I have wanted a Cobra since I first saw one at the age of thirteen. It took me a few years but I finally got one, at the age of fifty-five. My favorite thing about my Superformance is that I can work on it myself. It has super car performance with '60s simplicity. We have taken trips the past two summers in the Cobra. Last year from Mexico to Texas...up the Natches Trace... through the Mid-west to the Blueridge Parkway and back to Mexico. This past summer we drove from Mexico all the way to the Canadian border. The entire trip was through the Rockies. We like to stay off the freeways and stay on the backroads. That's where this car is really fun. You will probably never see my car on a trailer. It's too much fun to drive! I bought the SPF because I wanted another convertible and the best simple description of what I wanted was fast, heavy duty and fast. The goal was a basic car, something that I could work on, which precluded most of the new cars. 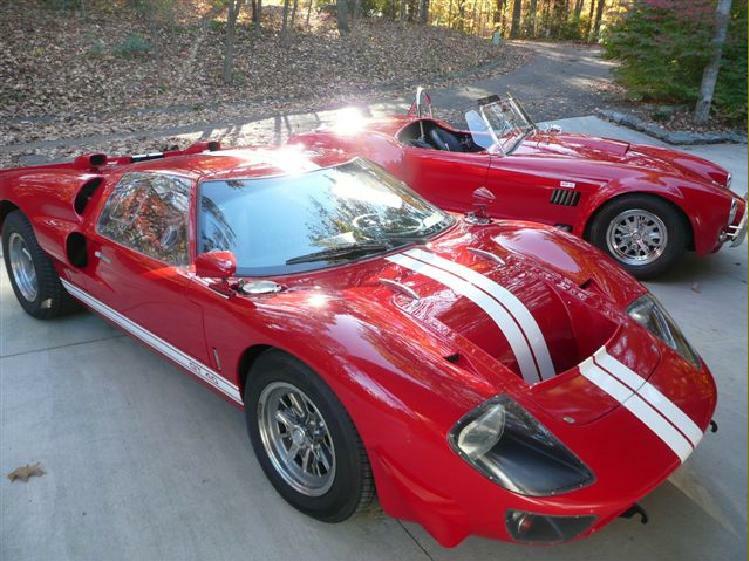 I was never a Cobra guy growing up, didn't care for Fords other than the GT40 and wasn't impressed with Shelby. It's a wonder I got here at all. Driving the SPF is an experience all of it s own. Between cruising, gas stops, parked you find out how many new friends, or those that wish they were your friends, you have. I've driven under blue skies and sunshine, in downpour rain, hail, snow, 108 degrees, 4 degrees and everything in between. Every drive brings smiles whatever the weather and conditions. SCOF has been the icing on the adventure. Sure, the car would have been fun w/o SCOF but the friends, cruises, parking lot parties, tech advice make ownership even more fun. Without SCOF I may never have experienced the long trips, cruises and track events. SCOF is an amazing group of car nuts all over the world and I'm proud to be one of them, because of the little car called Cobra I made some great friends and the latest one lived just a mile and half from me for years and I did not even know he owned a Superformance MK III, until I posted on the forum about a problem that I had and thru another good friend Wayne Hadaway with the club I met Gary Stowell and his lovely family, since then we have done some amazing things with the cars in his garage which I nicknamed the Garagemahall. It is amazing how a car can influence a person's social life, the only regret I have so far is not been able to get together with the SCOF family in one of the many gatherings, but it is in my bucket list. So to all I say long live SCOF. Owning a Cobra is an exhilarating weekend experience, that requires warm Canadian summer days and fair weather. Its either this or boating !! 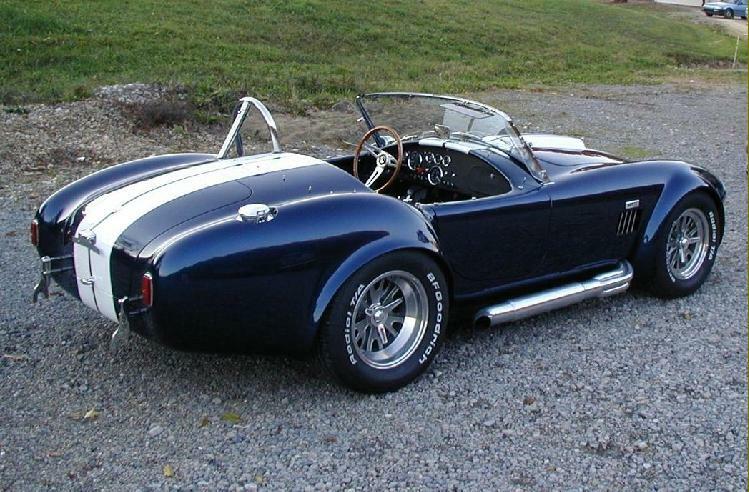 My introduction to the Cobra was seeing my first one in the early 60's and lusting after them ever since. Fast forward to the late 90's and after the kids finished college, I once again renewed my interest in these fabulous cars. 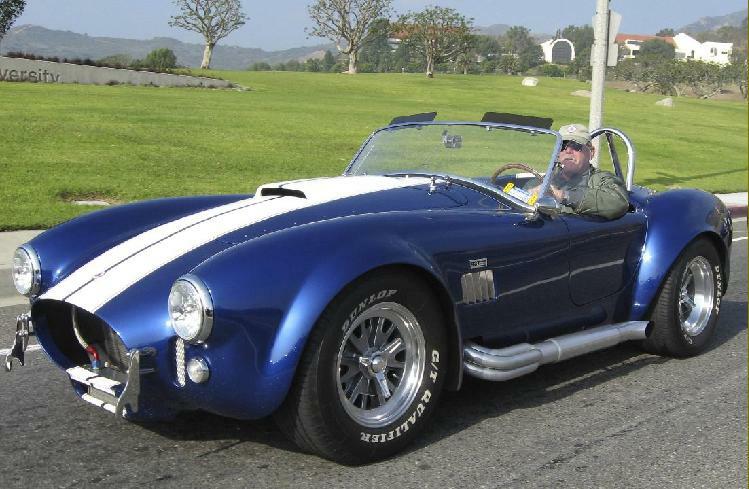 My first Cobra was one I built and drove for about four years. I really enjoyed the building part and all the new friends I met through our common interest in cars. I stumbled upon an opportunity to rep for a dealer here in Texas for Superformance and decided to sell my first Cobra and buy a Superformance. I figured if I was going to help sell these cars I should drive one. That was one of the best decisions I've made. I did my own install and thoroughly enjoyed that process. Reaping the benefits of SCOF membership I've attended several SCOF events, the last being the one held in Hastings, NE this year. What a hoot it is to meet fellow SPF owners from all over the country and enjoy their camaraderie. While the cars are great, it really is about the people. Thank you SPF! My quest began 42 years ago when I was 12 years old. I remember sitting in my friend's basement doing nothing but reading every magazine we could get our hands on about Carroll Shelby and his Cobra. I was snake bitten that very day, the passion wavered over the years but it never left me. I was very fortunate that in the summer of 2010 I had the opportunity of driving 2 very nice SPF's each of them had the Roush 427. One of the cars has the fuel injection version. These rides stirred up my passion and desire once again. My quest officially started. Through the help of fellow member Brian Sundue a vehicle was located. Through many pictures, emails, phone calls and almost 9 months in time. It was time for me to fly out and see it. It was everything I had imagined, it was stunning I couldn't help but smile. We talked about the car for a while then we went for a road test. It was amazing! I was on cloud 9 for sure. We finished the deal and before I left I called the transport company to come and pick up my new prize. Almost 2 agonizing weeks later my SPF arrived in front of my driveway. There was a small crowd gathered around the truck. Everyone had a camera in hand each of us taking pictures. 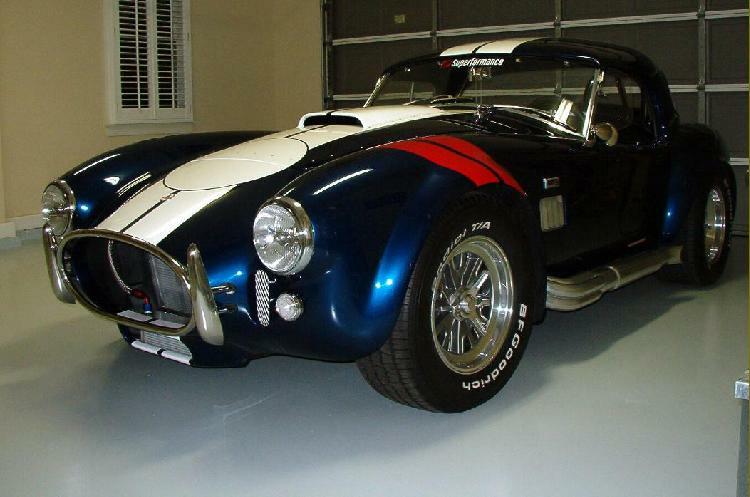 The Cobra went straight into my garage (no license plates) I found myself opening up the garage and looking at it, pinching myself saying to myself "I own a Cobra" "I own a Cobra" My SPF has been licensed for only 2 weeks at this time of writing. I have put on almost 500 miles and I'm still smiling!! The car is nothing short of spectacular. 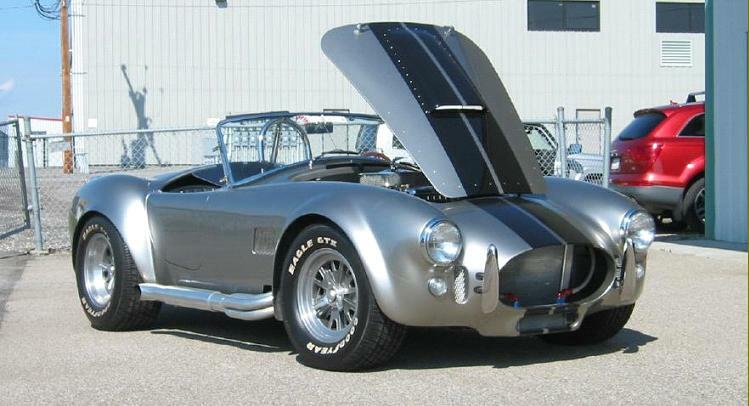 I saw my first 427 Cobra while a freshman in college and was bitten then. At 56 years of age in 2004 I had collected a few cars and had just purchased a 1966 mustang from a friend. My wife asked me why I bought the Mustang and why I needed so many cars, since I can only drive one at a time. She asked me If you could only have one car what would it be I said, without hesitation, that s simple, a Shelby Cobra. She said well then, why don t you just go buy one and I looked deep into her eyes and replied, "I don t know who has taken over my wife's body, but I love you". 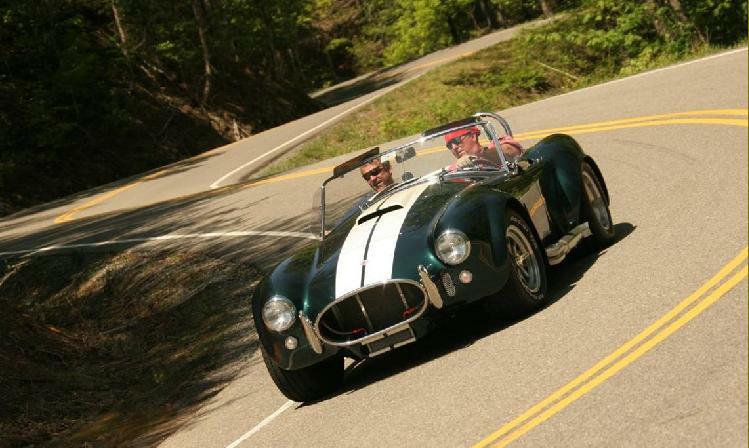 In less than two weeks we had tested and ordered our Cobra, and believe it or not, the down payment check # was #427. My original vanity plate was QWIKRNU, and when my friends and even strangers first saw the car the first word out of their mouths is Ssweeet So that is now my vanity plate. The first few years we trailered the car to gatherings, but now drive it to far away destinations and enjoy every mile, top down mostly. 3,250 miles on our first leg along the RT #66, to be completed hopefully in the year 2010, was an outstanding trip. And 1,650 total miles to / from Hastings for SSR 2009 along the Historic Lincoln Highway. In addition to great times in the Cobra, and I think really the best part is the many SPF owners we have met and enjoyed thru SCOF and SCOF events. We have developed close friendships with many and there is a true Brotherhood here that is simply the best, it s just priceless, and it comes with ownership of a Superformance, and it s free. While attending The Chicago World Of Wheels with my daughter some 20+ years ago, my young daughter grabbed my arm and said she just saw the coolest car in the show. 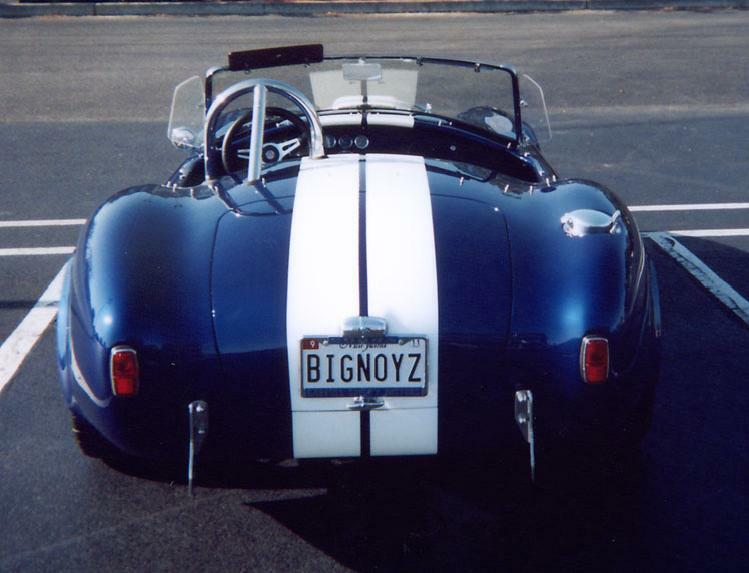 She pulled me around several other cars and a large column, and low an behold, sitting in front of me was an all original dark blue/white stiped 427 Shelby AC cobra. It was truly awesome. Right then I told her that one day I'm going to own one. Little did I know, it would cost me more money then I would ever have to own an original. Well, some 20+ years later I realized my dream, but it turns out, its not an original Cobra, just the next best thing, a Superformance. 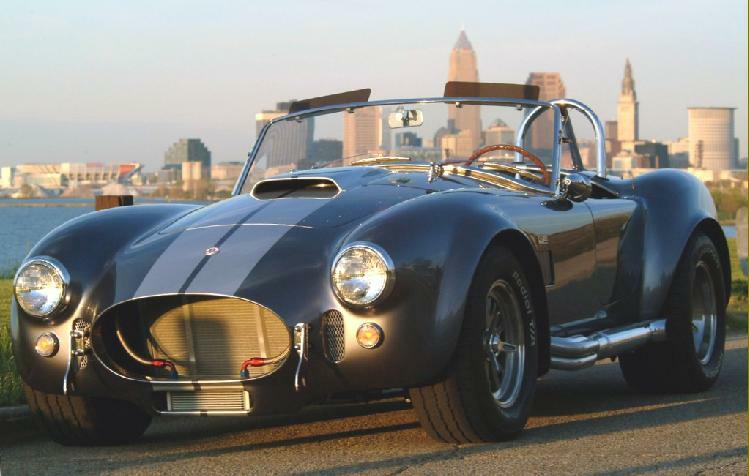 I was bitten by the Cobra bug back in the 60 s. Who could afford the wild exorbitant price of a $6,000 sports car back then? If I only knew then what I know now. Many years later, I started looking in earnest, finding my dream car only 12 miles from my house. From then on, it was a match made in heaven. I drive it most every weekend (us lucky Californians) going someplace of interest. Being a member of SCOF has provided me with some extremely valuable help along the way, like how to replace a clutch and intake manifold. I have participated in several Cobra gatherings and had a blast. Cobra owners know how to party !!! Hopefully, I will get to enjoy my Cobra for many years to come. I always wanted a "supercar". After coming home from the service, in 1968, I was able to sit in a Cobra and realized this was the car I someday was going to have. That cobra was only about $5800.00 but I just couldn't afford it at the time. But, someday I promised myself. Years, careers, kids, homes, wives all took time and resources so the dream and promise was delayed until summer of 2004. Heart surgery in 2003 changed my life and made me realize I'm not going to live forever, and I didn't want to break the promise, so I started looking for my dream. Kit cars soon were ruled out,(no time, no extra space, not much mechanical ability, poor quality) so I started looking at cars already completed. Boy there is a lot of JUNK out there. One thing that did stand out was that everyone I talked too tried to compare their car to a Superformance. Not having ever heard about Superformance, the quest for information started. Boy am I glad it did! The m ore I read about them, the more questions I got answered, the more it was making my decision on Superformance easier. Finally going to Costa Mesa and Hillbank Motors was all I needed to make everything come true. After my wife Jolene and I were there, and with Lance and Deborah "selling" and then telling us what colors were coming in, we decided on our dark silver and black striped rocket. The hardest part was waiting for the car to arrive, (it actually got lost in the rail yard in Los Angeles) and then for the install. When that day did arrive for taking delivery I can't explain in words the joy, excitement, and fulfillment of kept promises. The car has been everywhere and we enjoy just "cruzin" whenever we can. It's been to Las Vegas (featured in an episode of Dream Car Garage) Monterey to the historic races 4 years in a row and numerous other car events here in southern Calif. Needless to say we are very proud of our car and really enjoy it and all the other Superformance owners we have met. Always keep your promises especially the ones you make to yourself. Hope to see all of you on the road sometime, I'll be the one with the big grin on his face and the bugs in his teeth. 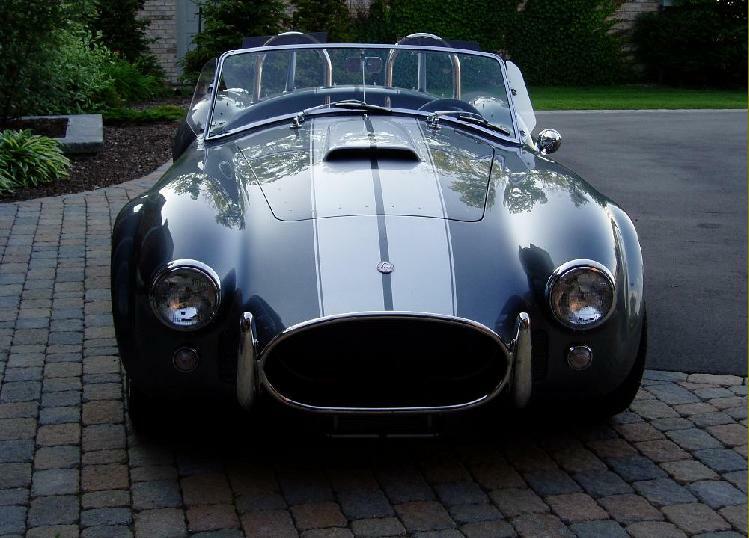 Superformance was not available in Canada early on in my search for a roadster. I decided I was going to build a kit car instead so I spent a few years looking around. Just as I was ready to start building I found that a Superformance dealer had since opened up in Canada. Because the cars needed to be imported in components, it was agreed that I would assemble the car myself but with guidance and supervision. The parts required to complete the car were sourced locally. I got the car home Feb 2005 and have since met many great people (including Jack Roush). Truly a beautiful final product and one I am proud to own and drive around. Soon after Superformance's were no longer allowed to be brought in, and as a result, there are a limited number of SPF cars in Canada. I first saw a Superformance MKIII at a My Classsic Car event in Evansville, Indiana in 1998 I think. The Coach from Dynamic Motorsports in Ross, Ohio was driving it into the event and I was helping the event by parking cars (I was a Corvette owner and club member). I loved the look and sound of the car, and spent most of the day looking over and under the car. It just looked right. I made my mind up that I would sell my 911 Porsche and buy one of these cars. I went to Ross, Ohio and met with the folks there and Mr. Rosen (the elder) spent most of a Saturday with me. We drove; I drove. I drove the big block cars and the small block cars. Finally, I left a $5,000 deposit check and left. On Monday, the fellow who was supposed to buy my 911 backed out, and I called them. I told Dean I needed 25k for the car. The next day, he called and said he had a buyer. But by this time buyer s remorse had overtaken me, and I told them I wanted to keep the 911 and just save for the Cobra. I knew I would have a hard time getting the deposit. I didn t deserve it, but Mr. Rosen got on the phone and said he understood and said the check was being mailed to me. He did, and it arrived in a few days. That impressed me. So, about seven years later, I called Jim Gammons and said I was ready to buy a Cobra. We placed the order in November, 2004 and the car arrived in March of 2005. I talked with Eric at Performance Engineering and decided to go with a 427W and said all I wanted was to be able to run the quarter in 12.4 seconds. (I had a Corvette at the time, and that was serious ET for a C4 Vette.) The car has never run 12.4, but always quicker. We replaced a clutch this past winter because of driver ignorance, but other than that it has been trouble free. A few water leaks, but nothing serious. My wife hates this car. My daughter loves it. My son-in-law loves it. Since I bought this car I have also bought a new Ford GT, a new Honda S2000, and a Toyota Camry Hybrid. We loved the Ford GT, but honestly, the Cobra attracts as much attention if not more. We have since sold the Ford GT, the Corvette, and the Porsche, but I doubt I will sell the Cobra as it is now in my will to my daughter. It is, after all, just a car, but it feels like a part of the family. PART 2: A few years back, Stacy David, of Gearz on ESPN called me at home. I hadn't seen his show and didn't know who he was. In any event, once I was sure he was legit, I listened as he explained the nature of his show, and that he wanted to build a modern Cobra using a Miata as a base car. The project was called "Banshee." To kick the series off, he wanted to use SPF 2080 to introduce the Cobra. So, I agreed and he came to my home, loaded the car, and two days later we were at the Nashville, TN Speedway. SPF 2080 is the opening scene and probably gets about five to ten minutes of air time, which is a lot by today's standard. The attached pictures show Stacy behind the wheel and at the track. If you ever catch the Gearz on the Internet, look for the first episode of the "Banshee" project. That's SPF 2080 doing all the wheel spin and so forth. Hard driving, but no bad effects on the car, 10,000 miles later. My father had a 1953 Austin-Healy 100 with a 283 chevy small block. He would not let me use it for a car show. My wife got mad and told me I could buy a cobra. I didn't waste any time and took advantage of the 10th anniversary diamond edition because we love the color and it was fully loaded. I got the hardtop because the trannie free so I used the extra money to buy the hard top. I got Carroll Shelby to sign the glove box door. 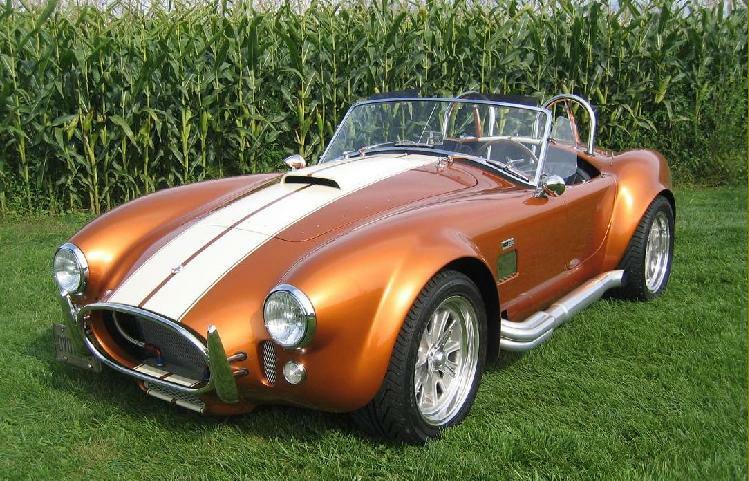 I wanted a Cobra ever since I was Gumball Rally in the 70's. I knew I had to have one once I was Hollywood Knights in the 80's. I took my wife to Coronado Island, Ca for our anniversary. I did not know (honestly) that this was the weekend of the vintage races on the Island. We were at the Marriott Hotel. As we left the Hotel for a walk on the beach I heard the unmistakable rumble of a Cobra. I made my wife wait until the cars arrived. I watched as Lance (I didn t know him as Lance then) drove up to the Hotel. He was gracious and gave me a flyer or two on the car I thought I would never be able to own. He was very nice and I made my wife wait for her romantic walk until Lance came out to drive the Cobra into the parking garage. A year or two later I was looking on the internet at a used SPF (basically dreaming, I thought). My wife walked into the room and looked over my shoulder and said, How much are those anyways? At the time I was looking at a used car and it was 50k. I told her 50K. She said, Why don t you just go and get one? I literally grabbed the keys and we headed to Newport to look at Lance s store. I had no idea if they were open or not. We drove all the way there and they were closed. I called the number one the door. Lance answered and explained to me that he was at a show at the Fontana Speedway. Bummer!!! Lance went on to explain to me that his son Ashton was on his way back from the Speedway and should be at the shop soon. He said Ashton could show me some cars. Ashton arrived soon and took me for the ride of my life in a consigned car. He also took my oldest son. I was hooked and was at the shop the next weekend ordering my car. Debra told me it may be 8 months. Bummer!! But she was able to switch my order with another customer who ordered the same car. He was not ready for his chassis yet. Well the year I ordered my car was the year that we ran out of names for all of the Hurricanes and they started over with Alpha, Beta etc. I only mention this because the ship with my car had to divert and took an extra long time. Well it eventually arrived and was assembled by Custom Motors near Lance. The day I came to pick up the car it was so exciting. I got into the car and crank , crank, crank nothing. The MSD module had failed and I would have to come back tomorrow (50 miles away). Next day there was a light mist but I didn't care. We picked up the car and the rest is history! We love our car, and the people we have met as a result of owning the car. I have lusted after these cars since the first time I saw one, well, actually a poster of one. That was 33 years ago. I could have built a kit Cobra, and I looked at all of them. But when I saw a Superformance Cobra, I knew there was no way I could build a car of that caliber for that money, even with my free labor. 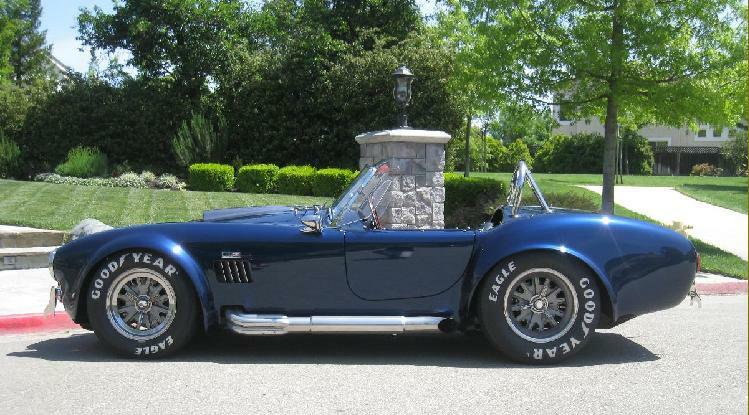 I was still just dreaming of getting a Superformance Cobra when I started an ongoing search on Ebay two years ago. But, when the stock market tanked, my wife and I decided it was time to move some of our remaining money into a more stable investment. When the right car showed up on Ebay, we bought it sight unseen. I wouldn't recommend buying any kit Cobra sight unseen, but with a Superformance you can be certain that you are getting a well built, solid, and reliable car with a factory fit and finish that s second to none. I guess it goes without saying that owning my dream car couldn't have happened without the support of my wife. After 26 years of watching me go crazy every time I saw a Cobra I think she actually got the bug too. In fact, as we got closer to getting our Cobra, she cut her hair shorter and shorter until she achieved the perfect Cobra coif; capable of enduring the hurricane force winds that are common in a Cobra cockpit. Now that s a supportive wife! 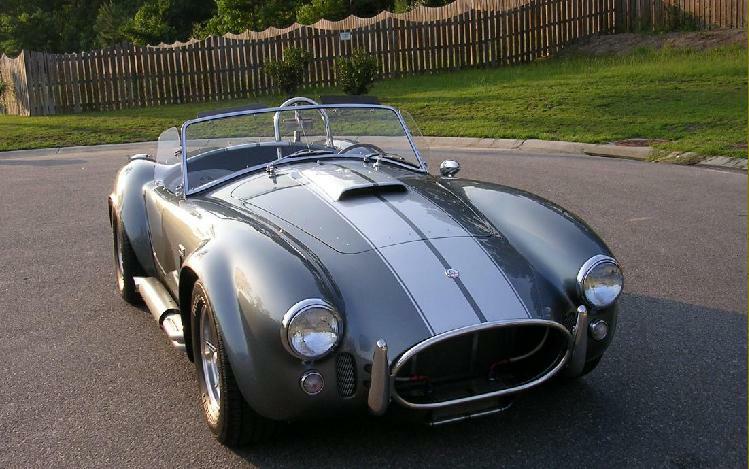 I have loved Cobras since the 60's. More than ANY other car I've always wanted one of these! Every time I would see a picture of one in a magazine or on TV, I always told my wife, "If I could have ANY car on the road, I would want this one!" I had never investigated Cobras thinking they were all too expensive until I met Rod Allen (1573) and found out one was within my reach after all. I've been smiling ever since! The most difficult part was selecting a color...absolutely agonizing. The rest was easy. 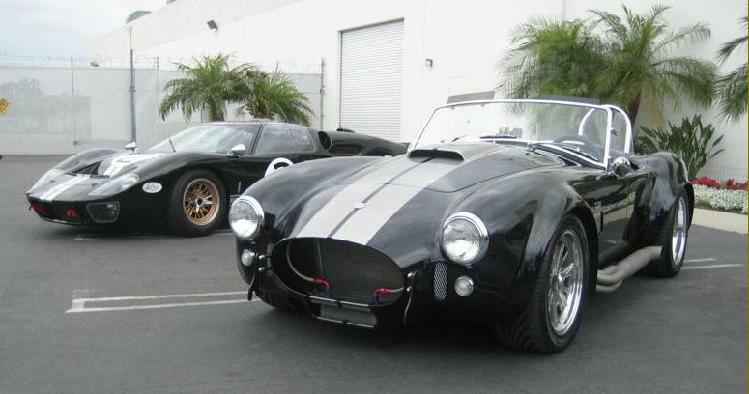 I have since seen a lot of different Cobras and Superformance, by FAR, builds the best. If you want to drive your car a lot like I do, it's the only way to go. Even better than the car, if you can imagine that, is membership in SCOF. Absolutely some of the best people I have met in my life. While I don't feel sorry for anyone who owns a Superformance car, owning one without being on SCOF is missing half the potential fun. Meeting up with SCOF friends and cruising together is really the best of times. 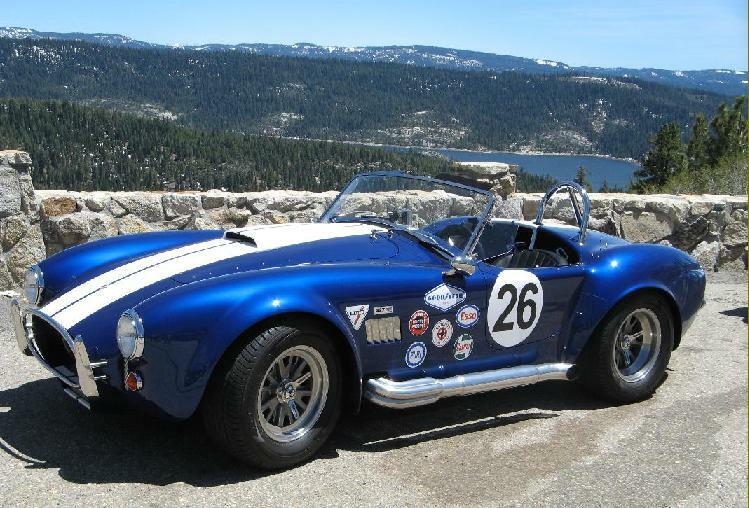 In 1964 I had my first ride in a 289 Cobra- I have recapped that moment in my mind a zillion times. 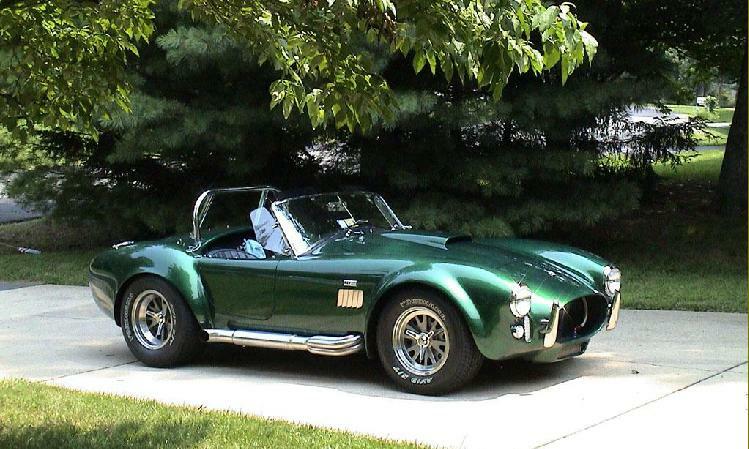 About then, I set goals in life; one was to own a 427 Cobra. Forty years later I could finally see that dream turn to reality. 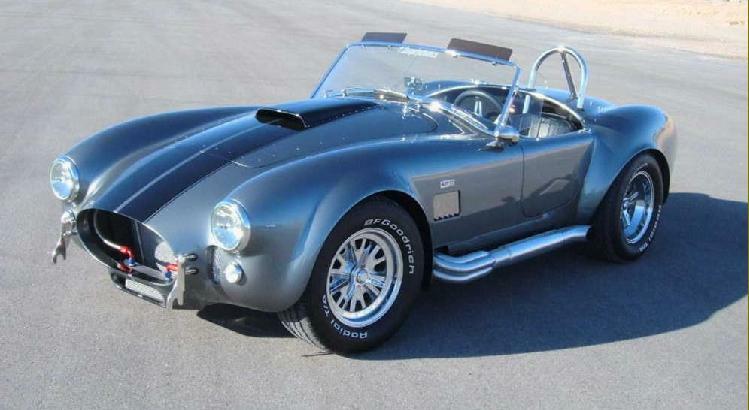 Not being able to opt for an original, I looked into kit Cobras which just didn't do it for me (I had just completed a 23 year ground up, body-off restoration on my 1965 Corvette Fuelie and was burnt out) and then discovered I could get a better than original Cobra that was professionally constructed from a factory, with state of the art race-worthy components and a paint job that would knock your socks off. Now, every time I hit that start button, my pulse races just like it did that day in 1964, but this time I'm behind the wheel!